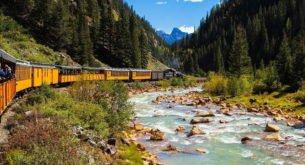 There’s a healthy spatter of game viewing destinations, a woodland wonderland, a couple of farm retreats, trout fishing havens and even an ox-wagon camp. We’ve included locations to cater for everything from a romantic trip for two, to beds in bulk for families and friends. There’s something for everyone wanting to get away from the city for a quick break. Please note that all prices below are subject to change at each establishment’s discretion. Please check with them before travelling. White Rhino in the Pilanesberg Nature Reserve. Photo by Villiers Steyn. It might be a fraction of Kruger’s size, but at Pilanesberg Game Reserve, near Rustenburg, you stand a chance to see not only the Big Five, but also rare species such as cheetah, wild dog and even brown hyena. 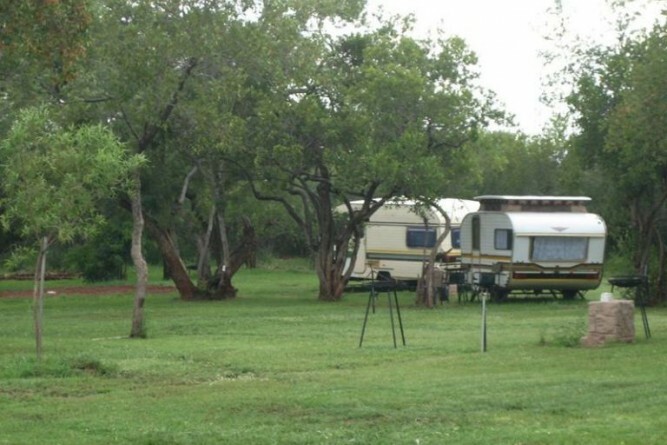 While there’s a variety of accommodation options, Manyane Resort is ideal for families who love to camp. It’s large and has ample shade and power points, as well as a swimming pool, restaurant and small shop. Woodbush Forest Reserve. Photo by Villiers Steyn. You’d be forgiven for expecting to see Orlando Bloom in full, pointy-eared, Lord of the Rings regalia step out from behind the trees on a hike through Woodbush Forest Reserve in Magoebaskloof, near Haenertsburg. It’s a magical place and drinking from fresh water streams and cooling off under icy waterfalls are added bonuses in an already unforgettable hiking destination. 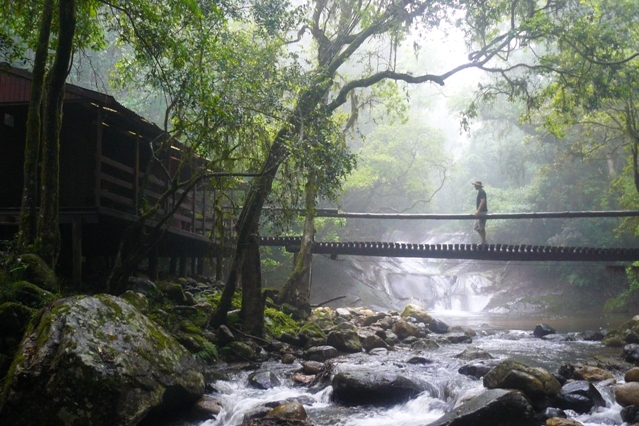 The Dokolewa Waterfall Trail overnights at two of the area’s nicest huts: Waterfall Hut and Dokolewa Pools. The challenging 43-kilometre route goes through scenic plantations and indigenous forest. You have to be completely self-sufficient. Phudufudu Tented Camp. Photo by Villiers Steyn. Borakalalo Game Reserve, translated as ‘where people go to relax’, is a lazy little provincial nature reserve near Brits and a great alternative to Pilanesberg. Don’t expect any mega wildlife sightings, but enjoy the complete lack of vehicle pile-ups when you stop to view resident herds of waterbuck, kudu and hippo instead. 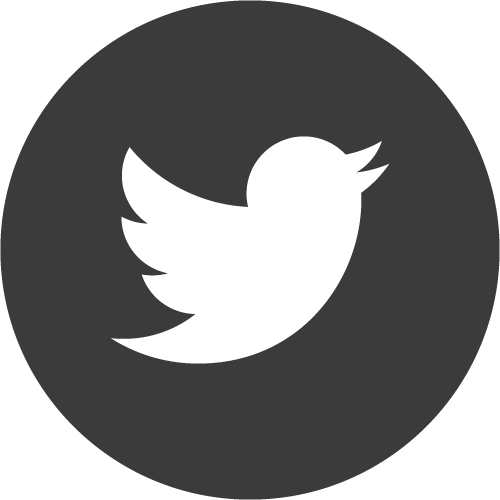 All you hear when you sit down and close your eyes in Phudufudu Tented Camp are birds. 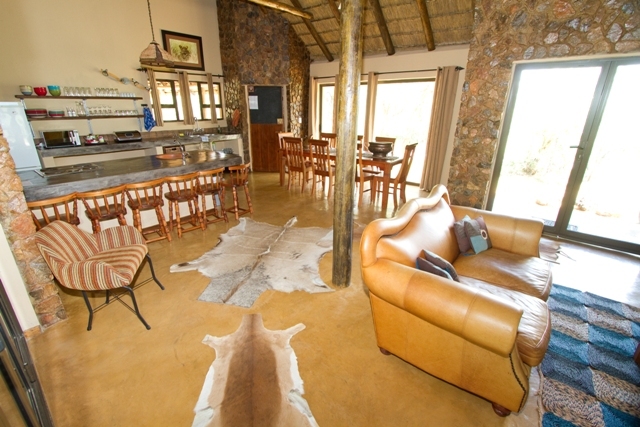 With just 10 safari tents, a communal kitchen and braai facilities, it’s ideal for a group getaway. Monate Conservation Lodge. Photo by Villiers Steyn. If you’ve ever wanted to be spoilt rotten, Monate Conservation Lodge, near Mookgophong (formerly Naboomspruit), is the place for you. Between morning and evening game drives, gourmet meals are served with a flourish and a smile, and quiet, comfortable facilities help you to tune out the demands of city life. One part of the reserve is covered by Serengeti-like plains where zebra and giraffe are often obliging models for photos. Ask your guide to stop for sundowners under the massive marula tree at the edge of these plains. Don’t be surprised if you find it very hard to leave. Stone Tin Lodge. Photo by Villiers Steyn. Sunlight streams in warming Stone Tin Lodge during the day and come nightfall, a large central fireplace heats up the open-plan lounge, dining and kitchen area, which is tastefully decorated with pale wood finishings, navy fabrics and Nguni-skin rugs. 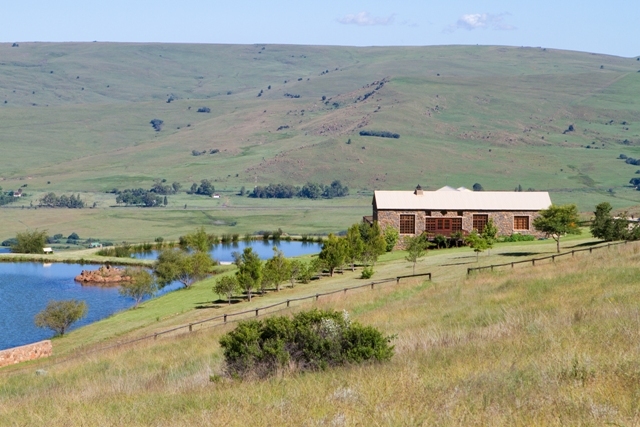 Set on a private farm about 30 kilometres on the Lydenburg side of Dullstroom, this spacious three-bedroom country home overlooks two trout-filled dams surrounded by rolling hills and is completely off the grid, running primarily from solar energy and gas (there’s a generator too, just in case). Each room in this corrugated iron and stone retreat has a basket filled with thick blankets, an en-suite loo, and the main room has a gorgeous ball-and-claw bath. Throw a fishing line, look for blesbok, black wildebeest and zebra on an easy hike or if it’s really cold out, surf DStv, snuggle on the couch and take in a movie. The road is not suitable for low-slung sedans (I made it in a VW Polo, but swore most of the way as rocks jut out from the road) and get supplies from Dullstroom on your way – local trout from Millies is always a win. Pack filter coffee for the Bodum French press, bubble bath, firewood or bring cash to buy from the very obliging farm managers for R50 a bag. Brookwood Estate and trout farm. Photo by Villiers Steyn. 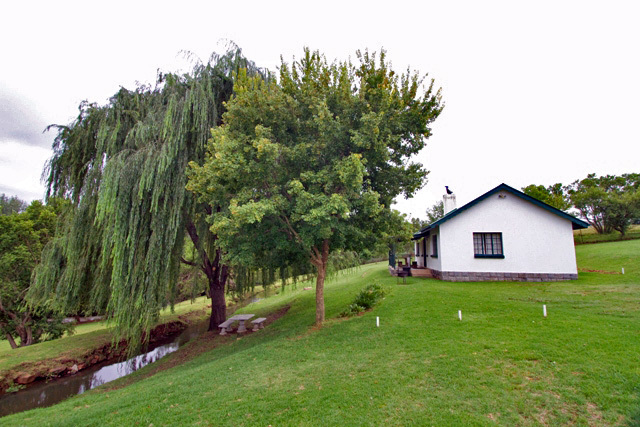 Walking down to the five dams on Brookwood Estate and Trout Farm, on the banks of the Blaauwbank River near Krugersdorp, you’ll think you’ve stepped into the rural English countryside. The grounds are well maintained and dams are fully stocked. 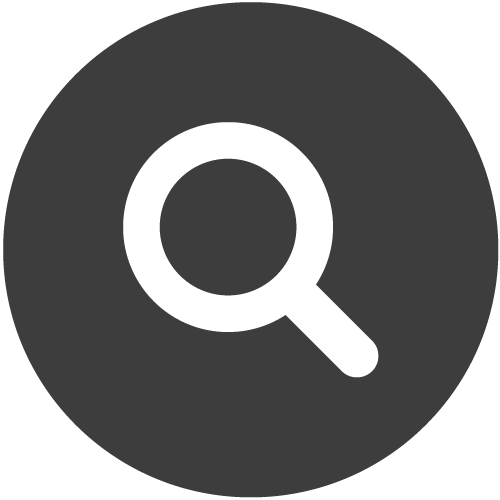 All fishing gear is available for daily hire and fishing advice is free. The two, cosy, four-sleeper chalets and one two-sleeper cabin on the property are popular, so make sure you book in advance. 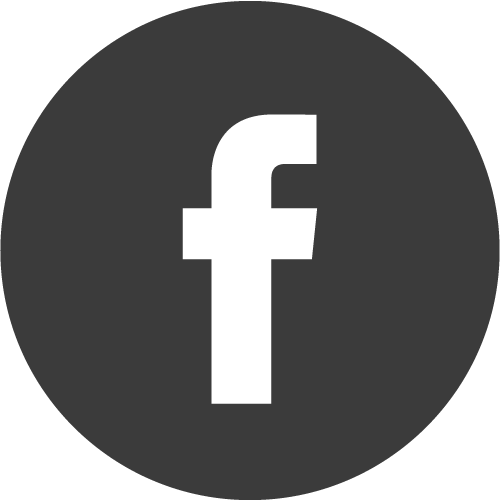 Contact: Tel 082 856 2448, email [email protected], www.brookwoodtroutfarm.co.za. La Provence D’Afrique. Photo by Villiers Steyn. Stepping into La Provence D’Afrique, near Magaliesburg, might be the closest you’ll ever get to old France. A cool, cobbled, indoor street cafe leads off into seven unusual chateaux-style suites, designed and decorated by owner and artist Charles Gotthard. We like La Passion and Le Petit Boudoir for their light and layout, but every room practically drips with French romance and is decorated with antique furniture, Victorian bathtubs and woodburning fireplaces. Breakfast is served under weeping willows beside the Magalies River, a setting even more romantic than the rooms. Mabalingwe Nature Reserve. Photo by Villiers Steyn. 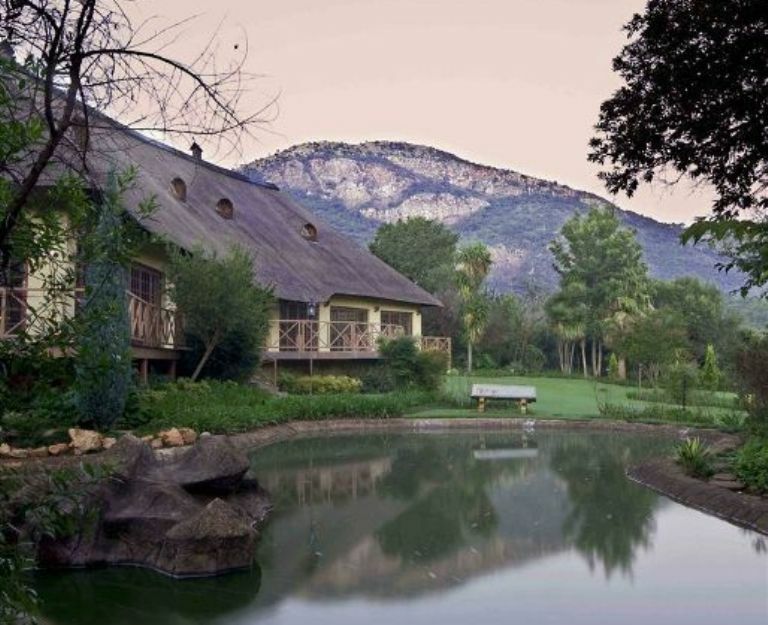 Mabalingwe Nature Reserve, near Bela-Bela, consists of 12500 hectares of malaria-free bushveld and has all the features of a good family resort. Reader John Miles says, ‘If the traffic plays along, you could leave the city after work on the Friday afternoon and reach Mabalingwe with enough time to pitch your tent and still enjoy the sunset. 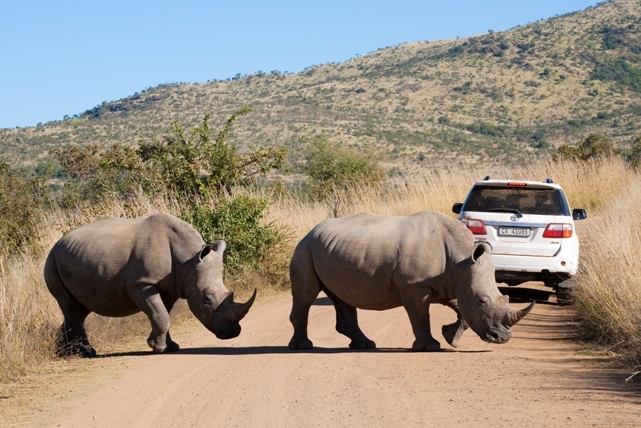 There’s a good network of game viewing roads within the reserve, most of which you can drive with a Citi Golf.’ There’s a large caravan park with 67 shady stands and an assortment of self-catering options. For groups of up to 10, we recommend renting Sekelbosgat or Rooiboklaagte lodges – they’re very private, each with four en-suite rooms, a fully kitted kitchen, outdoor braai area and pool. Forever Resorts Badplaas. Photo by Villiers Steyn. Remember summer holidays as a kid when time was measured by how often you’d been in and out of the pool? Forever Resorts Badplaas is all of that freedom. 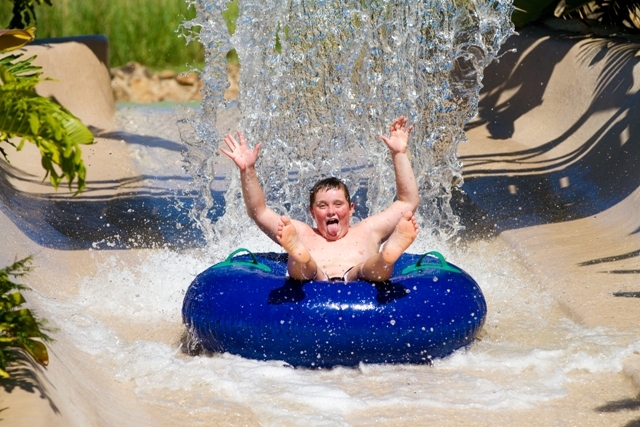 Kids are kept entertained with all sorts from mini-golf and paintball games to a go-cart track and super tubes. There’s also plenty for mom, dad and the grandparents, including tennis courts, restaurants and fishing. 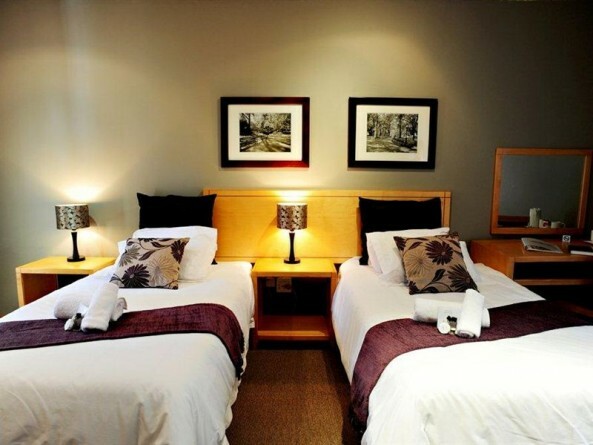 Although the Badplaas Hotel recently underwent an impressive makeover, resulting in modern, comfortable rooms (from R925 a double room per night), we suggest you book self-catering chalets LTC 64 to 69 (from R725 a two-sleeper unit per night) with unobstructed views of the game reserve. If you’re a camper, arrive as early as possible and try to get a spot on stands 112 to 148 on Campsite A, which are furthest from the entertainment area, but have the best views. Golden Gate Highlands National Park. Photo by Villiers Steyn. 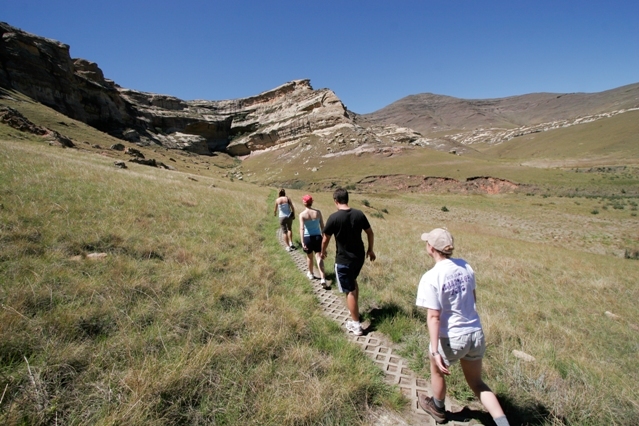 Few places offer as much hiking variety as Golden Gate Highlands National Park, near Clarens in the southeastern Free State. Whether you’re parents with hyperactive toddlers, a group of friends looking for a sundowner spot, or a serious climber training for Kili, there’s a trail for you somewhere in the shadow of Brandwag. 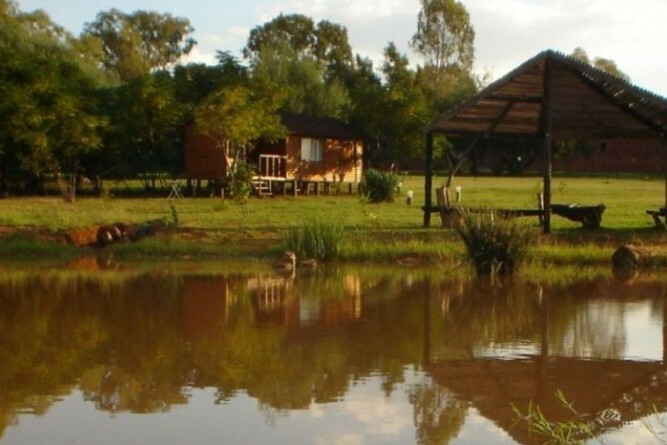 If you’re travelling as a group, book the farmhouse at Glen Reenen Rest Camp, located away from the main complex. The only lights you’ll see here at night are stars. 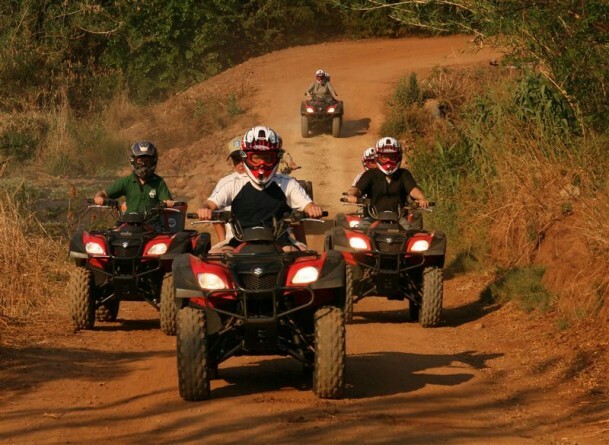 Quad biking is one of the many activities offered on Hollybrooke Farms. Live your farm-owner dream for a few days, in one of Hollybrooke Farms’ self-catering stone cottages on the banks of the Magalies river. Observe and experience the slower-pace of our country’s agricultural backbone on this working farm, with cattle, crops and pecan nuts. Farm animals will entertain younger kids, while a variety of activities is available to the whole family. Explore the property on horseback or quad-bike, or let out the marksman in you by practicing archery and air-rifle target shooting in the firing range. Once your aim is up to scratch pit yourselves against each other in a game of paintball. If all this sounds a bit too much like work, soak in the sun and the view of the beautiful Magaliesberg. 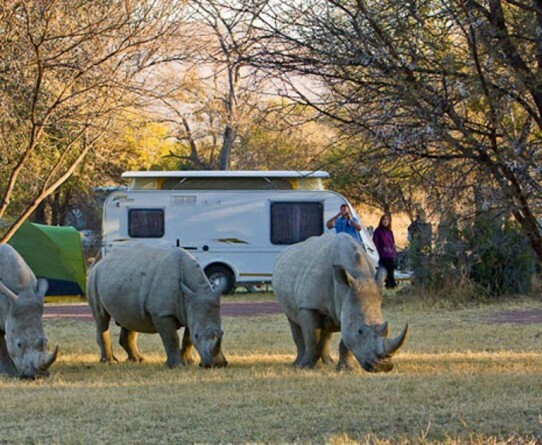 White Rhinos visit Bontle Campsite in Marakele National Park. 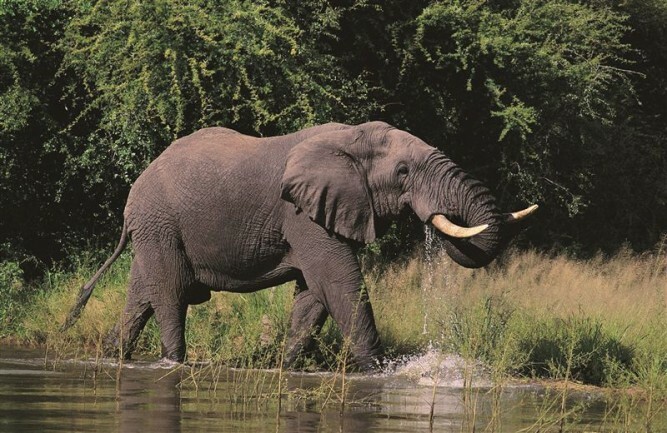 It is quite common for game to wander through Bontle Campsite in the Marakele National Park. The site is in the Kwaggasvlakte section of the park, near Thabazimbi, and sits at the base of the imposing Waterberg Mountains. Sufficiently far from the city to feel completely removed, but close enough to make the journey without taking up half of a precious day off, Marakele offers a good alternative to Kruger. 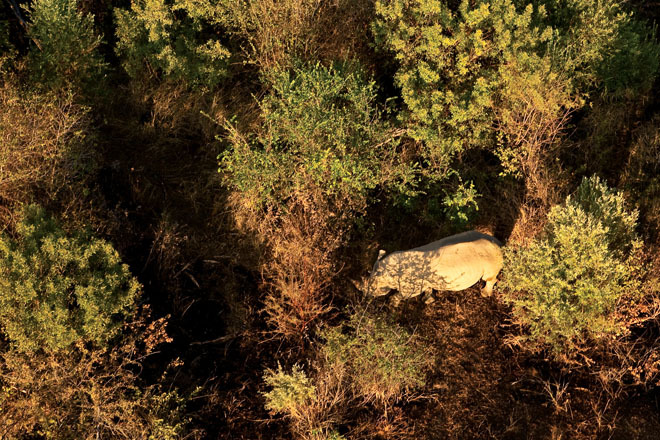 You also don’t have to compromise on game, with elephant, rhino, leopard, lion, and a variety of the more elusive species such as tsessebe and sable occurring in the park. 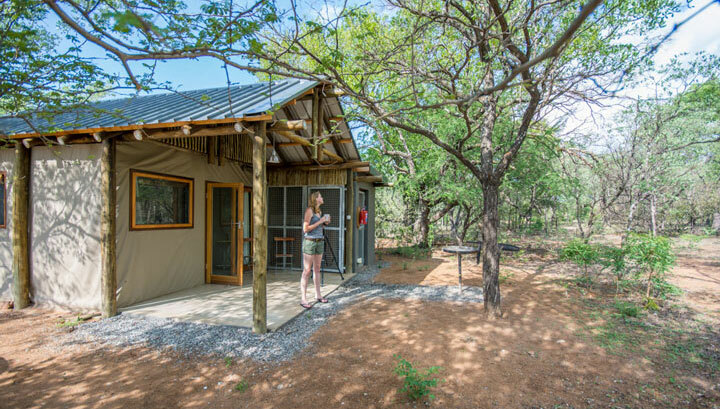 Update from Getaway gear editor, Melanie van Zyl: New beautiful tented camps are now open in Marakele National Park. They’re chicer than any other SANParks establishment I’ve visited with crisp white linen, great kitchen facilities and evenly spread apart surrounded by Waterberg bushveld for privacy. There’s the chance that white rhino will come trotting past and I woke up to impala chomping fresh shoots in front of the chalet. From R1145 a tent. You can see all of the big 5 in Dinokeng Game Reserve. Despite its proximity to Johannesburg and Pretoria, Mongena Game Lodge offers a wild experience likened by some to the Sabi Sands. 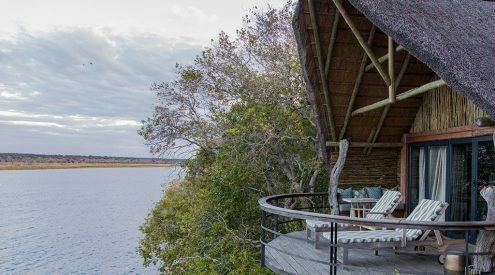 Thatch chalets are surrounded by indigenous gardens and lush green lawns, and the á la carte restaurant looks over a lake and the plains of Dinokeng Game Reserve. Open vehicle game drives depart twice daily and afford you the opportunity to spot the big five. There is also a swimming pool to cool off in the heat of the day. The park is said to be at its most beautiful after the rains, between December and April. Balloon safaris offer a rare opportunity for a bird’s eye game-viewing experience. 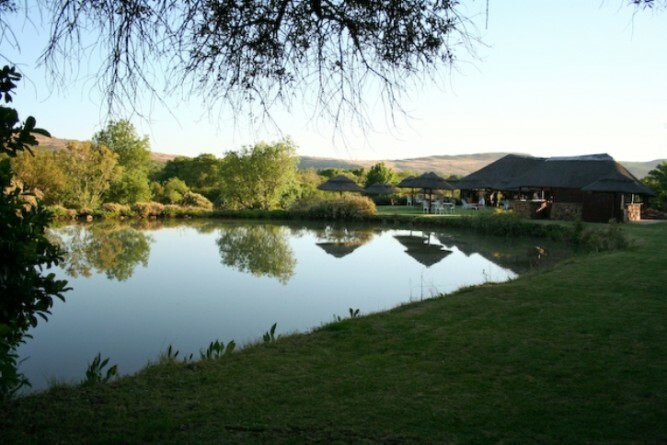 Bakgatla Resort offers a variety of accommodation from camping and caravan sites to chalets and safari tents. This lodge also boasts an Olympic-sized swimming pool, so you can cool off, or get a bit of exercise swimming lengths between game viewing. Kids will enjoy playing in the playground, jumping on the trampoline, or running riot on the lawns. Various activities within the game reserve can be organised, including hikes, game drives balloon safaris and bush braais. Home to the big five, and in a malaria-free area, the Pilanesberg offers another good alternative to Kruger. Located on the banks of the Komati river, the Komati Gorge Lodge is the perfect getaway for combining active days with lazy evenings. Explore the Komati Gorge on horseback, mountain bike, foot, or guided quad-bike tour. There are good spots for rock-climbing, but climbers need to take their own gear. Fishing kit, mountain bikes and tubes for floating down the river can all be hired, so you don’t need to worry about bike racks, or tying down rods. The lodge is also pet-friendly, you just need to call ahead to arrange. Spend the evening in the bar, or the hammock on your private balcony. 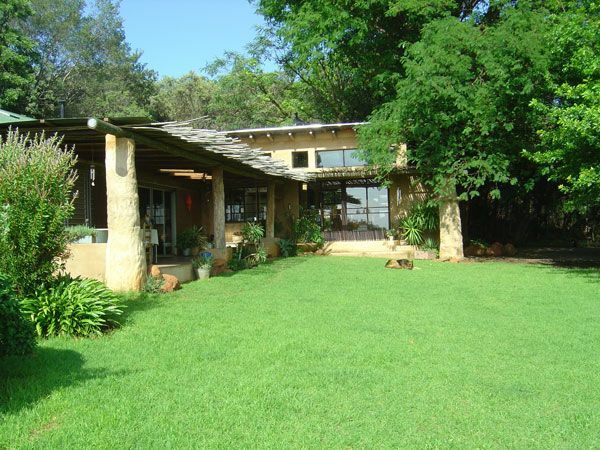 This six-sleeper self catering house is located just seven kilometres from Magaliesburg. Take a walk through the house’s beautiful setting on the New Horizons farm, before settling down in front of the wood-burning oven in the living room for the evening. Beautiful mountain views without a high-rise building in sight will leave you feeling rested and clear-minded. In close proximity of the farm house you can visit the Maropeng Visitor Centre to learn a bit about the cradle of human kind, and explore the Sterkfontein Caves. 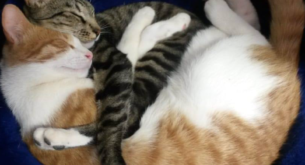 Perfect for families with kids or pets. The Oxwagon accommodation at Tussen-I-Bome redefines old-school. Tussen-i-Bome offers a variety of accommodation including camping, self-catering chalets and three oxwagon camps, sleeping four people each. 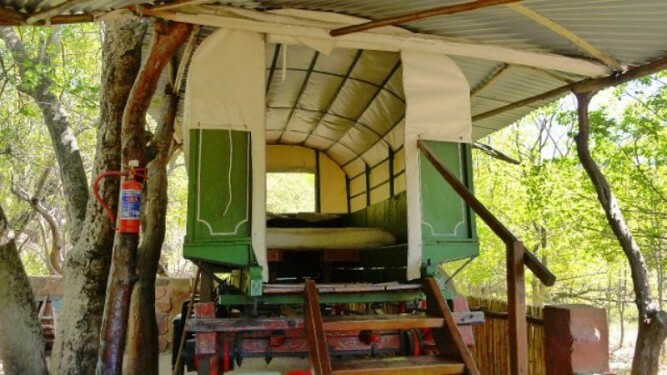 These unique camps give you the opportunity to spend the night in authentic oxwagons, dating back to between 1860 and 1935. Hiking trails provide a way to stretch your legs and admire the bush, while the swimming pool and kids play area mean that youngsters are unlikely to be short of entertainment. 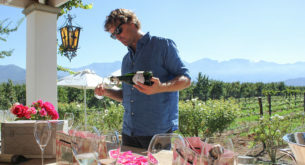 Drink sundowners on the hill-top deck overlooking the whole farm in the evening, before baking bread in the traditional clay bak-oond to go with your braai. If the novelty of sleeping in a wagon isn’t enough, the huge half-barrel bath will certainly be the cherry on the top of a blast-from-the-past weekend. A beautiful sandstone house in the quaint town of Clarens. 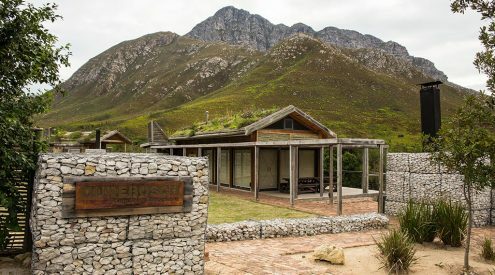 If you want to get out of the city, but don’t want to exchange it for the bush, take a weekend to explore a typical South African small-town. 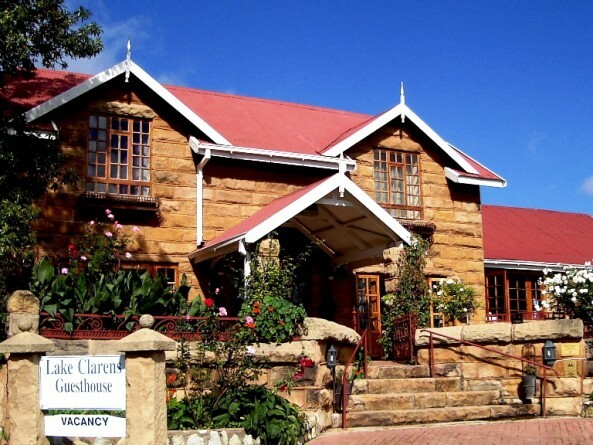 Clarens is a quaint little town north of the Lesotho Border, with picturesque sandstone buildings on either side of poplar groves, all with views of the Maloti Mountains. One such sandstone building is the Lake Clarens Guest House. This is the perfect base from which to enjoy Clarens with its location close to the town centre, and its friendly owner, Bruce Weyer, always willing to give advice on the best places to explore. All rooms have queen sized beds, televisions and beautiful lake and mountain views. Browse craft shops and art galleries before paying a visit to Clarens Brewery to sample the local beer. The Cherry Grove apartments are reminiscent of a Tsucan piazza. These luxury en-suite apartments have private balconies which overlook the Piazza on the edge of Dullstroom. 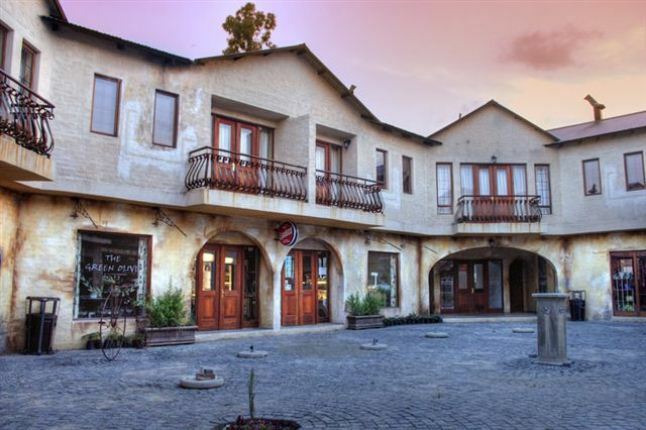 The piazza itself houses The Duck and Trout – vibrant watering hole for Dullstroom locals – as well as an art gallery, coffee shop and gift shop. With fire places and DSTV, these apartments are perfect for cozy nights in. It will be difficult to drag yourself out of bed in the morning, but excellent trout fishing in the area will reward those who do. 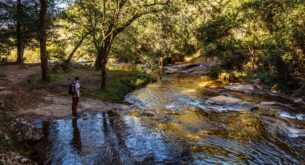 The rise of trout will be the only thing which demands you be on-time, however, as Dullstroom is all about relaxing and recovering from the stresses of big city life. Villa Paradiso is a country manor with 60 double bedrooms. Villa Paradiso sits in a lofty location, overlooking the town of Hartbeespoort and the Hartbeespoortdam. With most rooms boasting private balconies or access onto the manicured gardens, there is a certain grandeur to the villa. it is a great base from which to explore the town of Hartbeespoort, which is big enough to be worth exploring for a couple of days, but small enough to feel like you’ve escaped from the rush of big city living. Visit Jasmyn Plaasprodukte farm stall – chocka-block with produce from local farmers, from fresh fruit and nuts to home-baked goods. Glenburn Lodge’s natural scenic beauty is like no other. 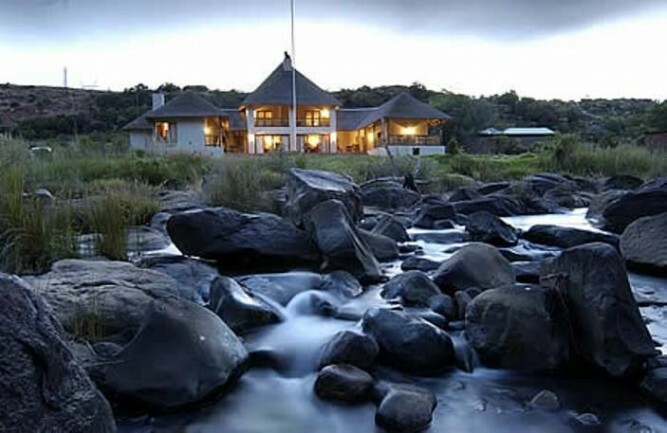 The luxurious three-star lodge, Glenburn Lodge, is situated in the Zwartkops Mountains on the outskirts of The Cradle of Humankind and is a 30-minute drive from Johannesburg. Glenburn has a natural scenic beauty and the peaceful bushveld creates the most relaxing atmosphere. You can choose to stay in garden or hotel suites, standard hotel rooms or chalets overlooking indigenous bush and soothing water features. You also have the option to book affordable, self-catering accommodation in the Bush Willow Tented Camp which rests on the banks of the Blaauwbank River. 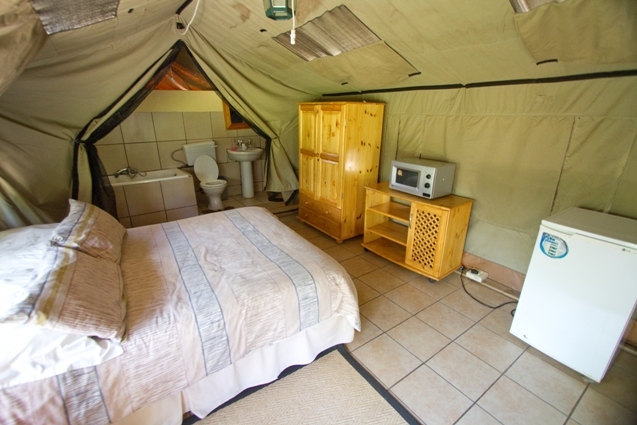 Each tent accommodates up to six guests and includes a warm water shower, a toilet and kitchenette. Glenburn’s activities include, game watching, river fishing, nature walks, outdoor chess and spa pampering. Houtbosdorp is very central and enables you to be active during the day with relaxing evenings around the fire. Houtbosdorp is a self-catering guest house overlooking the Crocodile River. 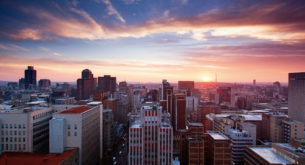 It is only 40 minutes from Johannesburg and is close to various restaurants and exciting activities. If you feel like going on excursions during the day while having quiet evenings around the braai, this is the perfect place for you. Visit Lesedi Cultural Village, go hot-air ballooning, have a look at the UNESCO World Heritage Site, The Cradle of Humankind, and enjoy the amazing surroundings in the aerial cable way. Then come back to the simplicity of nature and prepare a lovely meal in the fully-equipped kitchen. Treat yourself to a luxurious weekend of relaxation and pampering. 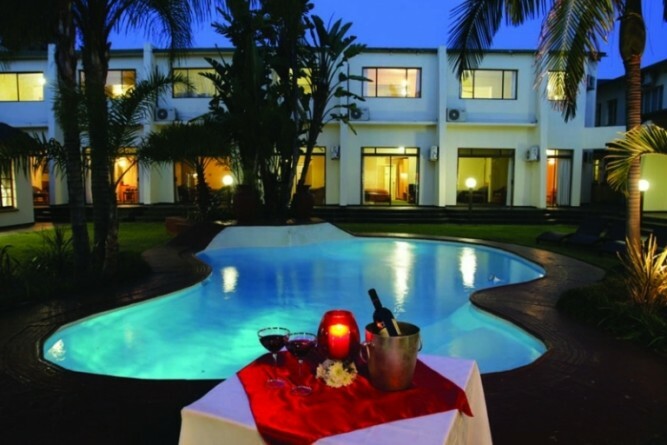 Magalies Manor is about an hour from Johannesburg. It is a small exclusive country establishment, offering the very best of cuisine, personalised service and privacy in a charming garden setting. Enjoy the private luxury rooms which overlook the Magaliesburg panorama and spend your time lying beside the pool, going fishing, bird-watching, walking, hiking, or simply relaxing, reading a book. 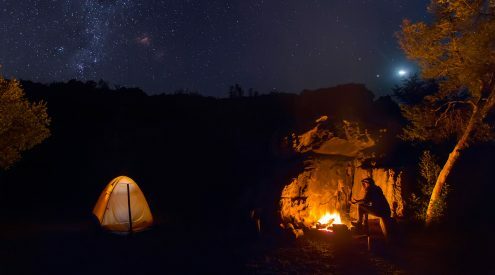 MY Private Bushcamp offers much more than just natural beauty. At MY Private Bushcamp you can expect a peaceful and private camp, ideal for any guest who wants to enjoy the silence, fresh air, clean facilities and delicious open-fire food. Parents will be able to experience the calmness of nature while their children are entertained with games and activities in the safety of the camp grounds. Light meals and soft drinks are available at MY Kitchen and Coffee Shop and you can also get fresh produce and homemade snacks at the shop. Elephant or horseback safaris, quad bike trails and paintball games can be arranged and the wildlife roams freely on the property, giving you the opportunity to see duiker, impala and steenbok, as well as many other small antelope and bird species. Enjoy a lovely weekend in the charming Parys. 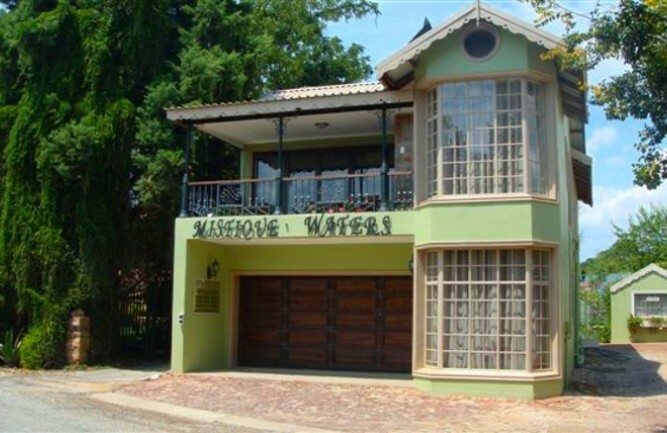 Find this self-catering guest house right next to the Vaal River. It boasts magnificent views and guests can stay and relax in their apartments. The apartments are comfortably furnished and feature en-suite bathrooms, fully equipped kitchens, televisions with DStv access and air conditioning. Mistique Waters is within walking distance of the Parys Golf and Country Estate and the River Spa, as well as all the local shops. Activities in the surrounding area include river rafting, fly fishing, abseiling, 4×4 trails, hiking routes, helicopter and hot air balloon rides, bird-watching and picnicking. 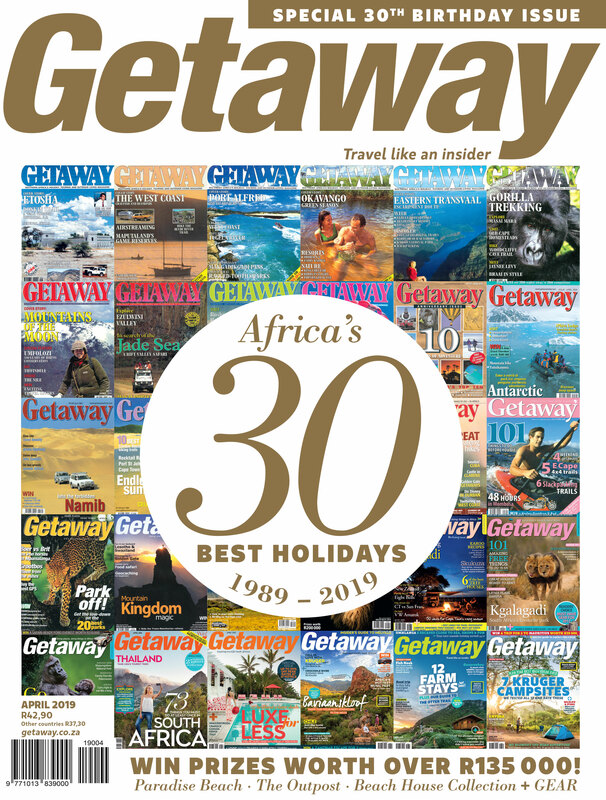 Guests can also visit the world heritage site, The Vredefort Dome, or Parys’s famous antique shops, art galleries, restaurants and coffee shops. Wake up to the amazing view of the Magaliesburg Mountains. Find Big Creek Guest Lodge in a valley facing the Magaliesburg Mountains. It is an hour from Johannesburg and the landscape varies from rough and rocky hills to a quiet stream under weeping willow trees. A rustic furnished lounge with DStv is available to those who enjoy their news and sport, a games room with a full size snooker table, dart board and bar, and a swimming pool set in a lovely garden with rolling lawns overlooking a small dam is the perfect place to unwind. Cyclists can enjoy both on and off-road with a spectacular mountain bike route over Breedts Nek Pass. Being in the heart of the Magalies Meander, there are many shopping and adventure activities from which to choose; game drives with the Big Five, microlight flights, gliders, canopy tours, hot-air ballooning and much more are available at your request. Thabela Thabeng provides the ultimate getaway from your hectic weekdays. 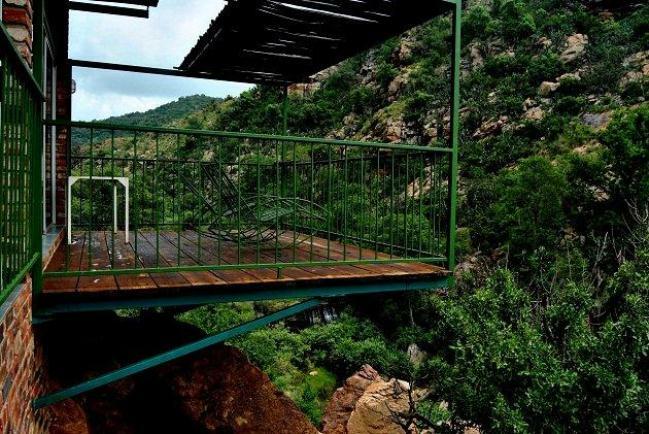 Thabela Thabeng is 100km from Johannesburg and lies in the midst of the Vredefort Dome, a world heritage site, between the mountains and the Vaal River. The luxury chalets are built on the edge of a deep kloof in the mountains and fireplaces for winter warmth and balconies with magnificent views provide a welcome break away from the hassle of everyday life. Each chalet is fully equipped for self-catering and the youth hostel and silo are ideal for large groups and also offer self-catering facilities. Activities include hiking, mountain biking, stargazing, bow shooting, abseiling and much more. Elephant Springs is your home away from home. 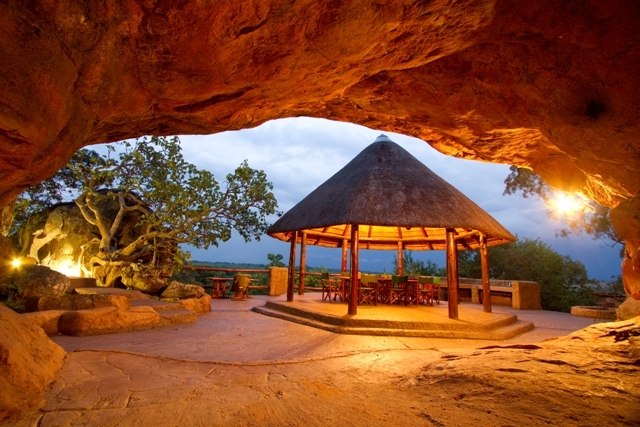 Break away to the Elephant Springs Hotel & Cabanas in Bela Bela. 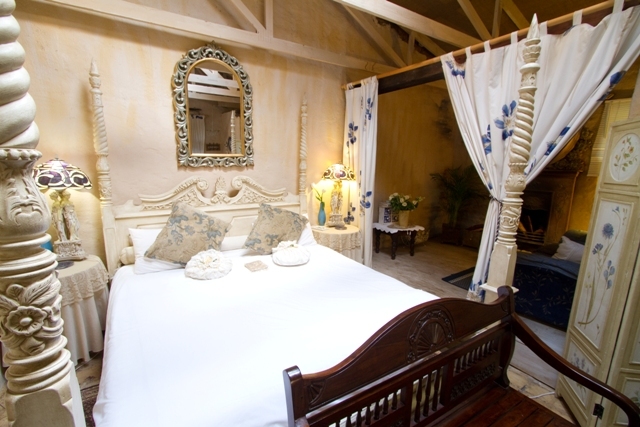 Built in the old Colonial African style and filled with antiques and memorabilia, this hotel has 44 air-conditioned hotel rooms with en suite bathrooms, and 20 comfortable three bedroom, self-catering cabanas around a private pool and braai area. The idea is to relax in comfort similar to your home, so spoil yourself and enjoy a stay at Elephant Springs. Try something new and spend your weekend on water instead of the boring old ground. 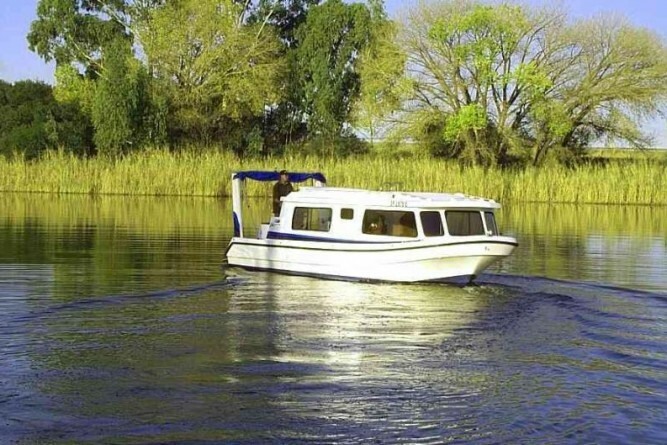 Be adventurous and rent a Cruise-N-Snooze houseboat on the Vaal River. The fully equipped luxury houseboats, which sleep four people and are moored in a private lagoon, are separated from the main river by a small island. From here there are approximately 55 kilometres of navigable waters with various tributaries to be explored at your leisure. On-board activities include fishing, bird-watching, swimming or just relaxing under the sun or starry sky. Places of interest on the riverbank include restaurants, bars, family entertainment venues, a casino, golf courses and spas. Wipe the dust off of your 4×4 and make the most of this exciting campsite. Only an hour from the rush of the Johannesburg CBD, 4×[email protected] a secluded farm just off the N4 highway bordering the Bronkhorstspruit dam area that offers an adventurous 4×4 escape. Combine that with bird-watching and an eco-trail and you are set for a very memorable weekend. 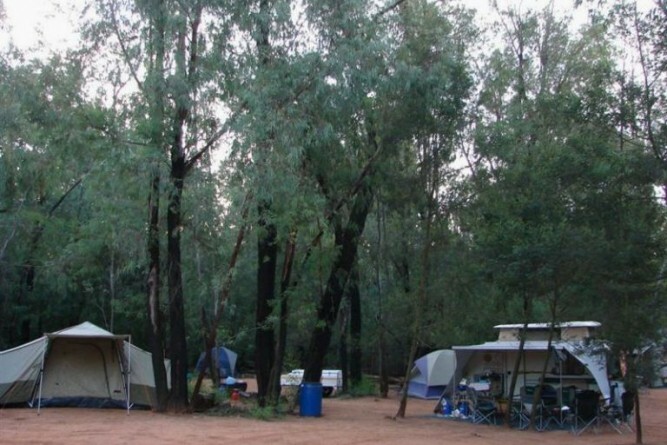 The camp is located in the sheltered bush area of the farm. 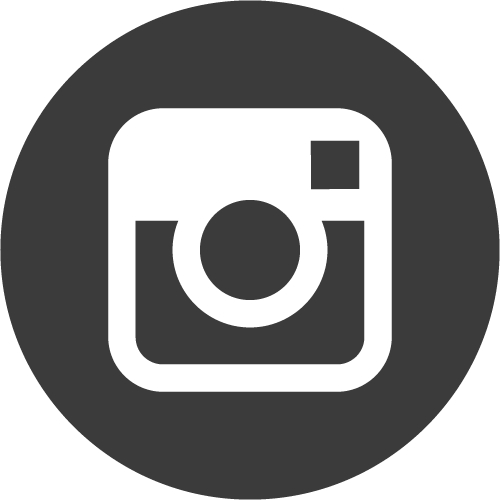 The venue is especially designed for 4x4s, 4×4 caravans, 4×4 trailers and tents. The exclusive camping spots are dotted throughout the bush, so you will always be close to nature. The farm is home to a number of stone circle ruins between 2000 and 3000 years old which are typical of towns and settlements built by the old African civilizations. This quirky lodge, just off the main road in Modimolle town and about two hours from Johannesburg, bills itself as a road-trip stopover for those speeding up the N1 towards the northern Kruger gates, but in truth it’s a little more than that. Walk to the front door and you’ll immediately sense that this is something different. Unconventional tree-trunk sculptures and brightly coloured plant pots crafted from tyres line the path to the unusual barn-like, A-frame buildings. The 14 rooms that make up the lodge are decorated in a cheerful, offbeat South African style: think colourful mielies and pilchard cans printed onto bedspreads, ornate mirrors and psychedelic paintings on the walls. Although the rooms are small and basic, the space has been cleverly used to accommodate a TV, tea- and coffee-making facilities and an en-suite bathroom with shower. While primarily used as a stopover, it’s an affordable base from which to explore Modimolle and nearby Bela-Bela where outdoor activities are abundant; try zip-lining past blesbok or hurling yourself out of a light aircraft. Cool off in the pool after hiking or quad-biking through the surrounding mountains and throw some meat on the coals at the communal braai. Scenic, quiet and isolated, Wolwespruit is a perfect destination for those wishing to get away form the crowd and enjoy a weekend’s peace and tranquility. 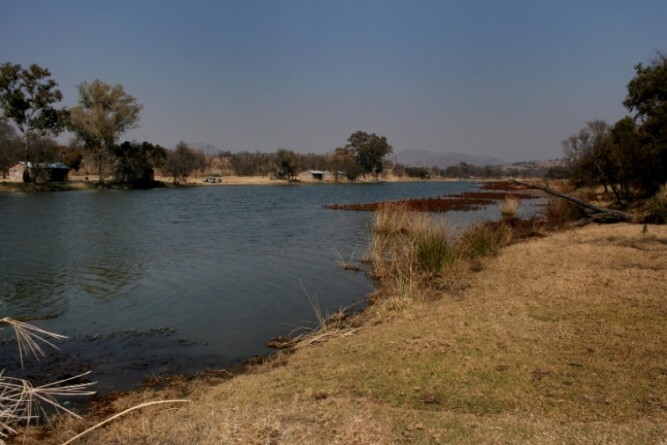 Most keen anglers are quick to head to Bloemhof Dam Nature Reserve to throw a line into the Vaal River, but there’s also yellowfish aplenty upstream at Wolwespruit – and a totally different setting. The pretty riverine bush provides a welcoming habitat to many bird species, which are particularly abundant in summer. Most notable are shrike, starling, thrush, pink-billed larks, swallow-tailed bee-eaters and giant kingfishers. Hiking is the best way to view the variety of antelope found on the grassy plains including kudu, blesbok, zebra and hartebeest. There are rustic campsites all along the riverbank, which have no flush toilets or electricity but do have the more important things in life: a braai area and great views of the river. The positioning of campsites 18 and 19 – close to the ablutions and with more convenient river access than others – makes them the most sought after.